When I first moved to Austria, I was super excited since it was during Christmastime. I heard so many amazing things about celebrating Christmas in Austria (Christmas Traditions in Austria), about the food, the drinks and other fun activities (things to do during the winter season). If you are not familiar with Austria, it has one of the best ski resorts in all of Europe (and also in the world). It’s also so fun and lovely visiting the Christmas Markets in Austria. They really put a lot of effort on the Christmas markets decorations, traditional food, ice skating rinks and more. 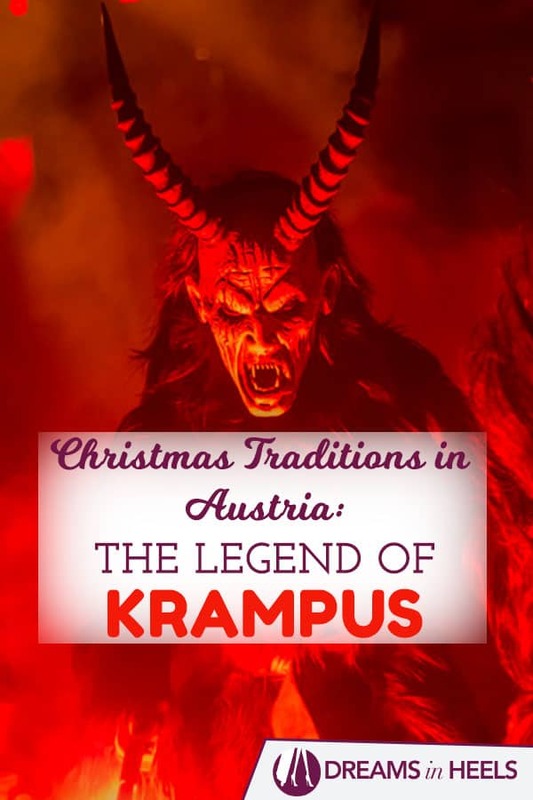 I especially enjoyed learning about the Christmas traditions in Austria, until I found out about one that is a little bizarre. I’m referring to none other than Krampus, the evil Santa or also known as the Christmas devil. 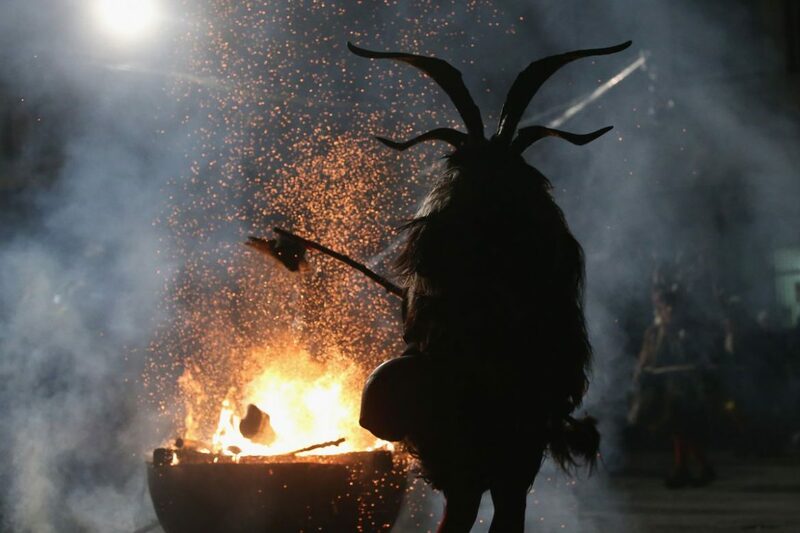 I would describe Krampus Festival in Austria (and the whole legend of Krampus) as very unique but terrifying Christmas tradition in Austria. Curious for more? 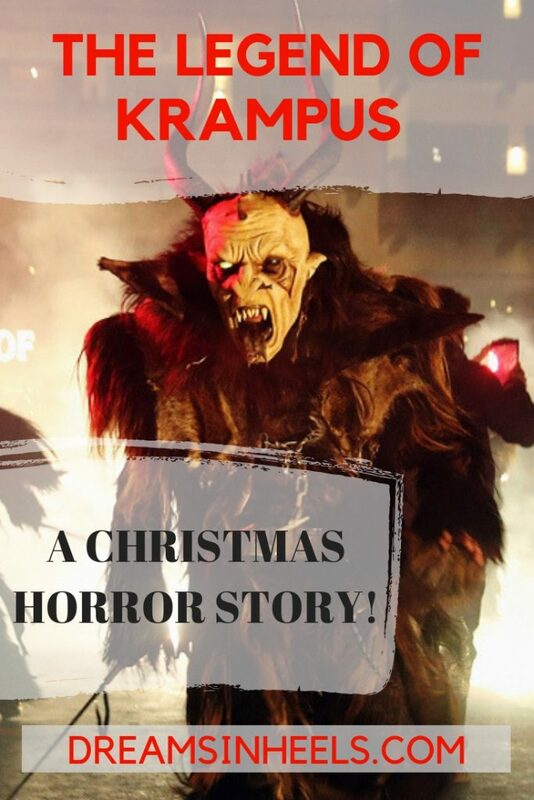 Then read on to learn about the Legend of Krampus, a Christmas horror story. 1 A Christmas Horror Story! 1.6 Krampus the movie – A Christmas Horror movie! Krampus is the Austrian Christmas monster (evil santa twist) who’s a mythological holiday beast (half goat / half demon), who comes to visit and punish children who’ve misbehaved throughout the year. He also have chains, to symbolize the binding of the devil by the Christian Church, which he thrashes about for dramatic effect and to scare people. You could also hear Krampus’ bell ornaments as he walks around and gets closer and closer…. He is rumoured to carry bells of different sizes (I figured Krampus wears bell ornaments since he is half goat, but who knows, just my opinion). So when you hear the bells, don’t wait, just run! Krampus is the evil twist of St. Nicholas. You have the saint (good angel) and the devil (the bad angel). Evil Krampus vs St. Nick sums it all up in a nutshell. In reality, its a little more involved. Krampus’ origins have nothing to do with the Christmas holidays. Instead, they date back to pre-Germanic paganism in the region. The Krampus name comes from the German word krampen, which means “claw.” It is believed that he is the son of the Norse god of the underworld, Hel. There was a point in time (around the 12th century) that the Catholic Church tried to vanquish the celebrations and tradition of Krampus. I’m sure that you can guess why! Basically, it was because of the similarity between Krampus and the devil. 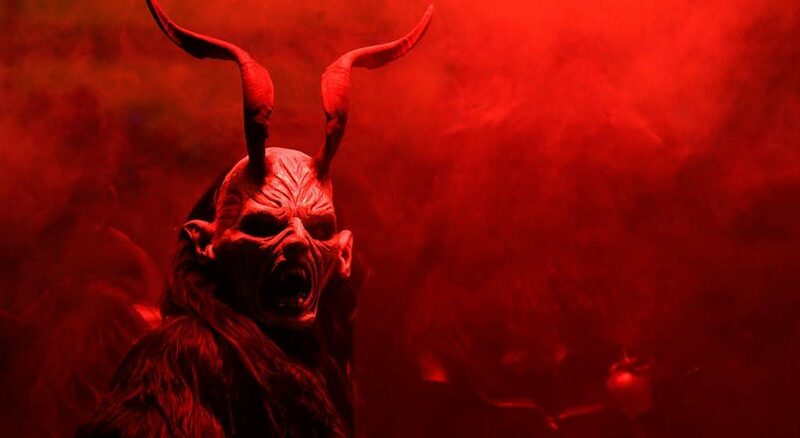 The Austria’s conservative social party tried again to banish it too, but Krampus kept emerging as a much powerful, loved, although still feared Christmas Holiday tradition in Austria. Krampus comes on December 5th to punish misbehaving kids, which is the day before St. Nicholas comes (December 6th) to reward good kids by leaving candies in their shoes, and for bad kids, leaving birch twigs (or in modern times, carbon) in their shoes. Sometimes on December 6th, Krampus comes or tags along with St. Nicholas, but Krampus (as noted above), only goes after bad or naughty children. The legend of Krampus states that during the Christmas Holiday season, children who have misbehaved are beaten with birch branches or can even disappear, stuffed into Krampus’ sack, and hauled off to his lair to be tortured or eaten afterwards. In Europe, they do not believe in Santa Claus; this is an American tradition. 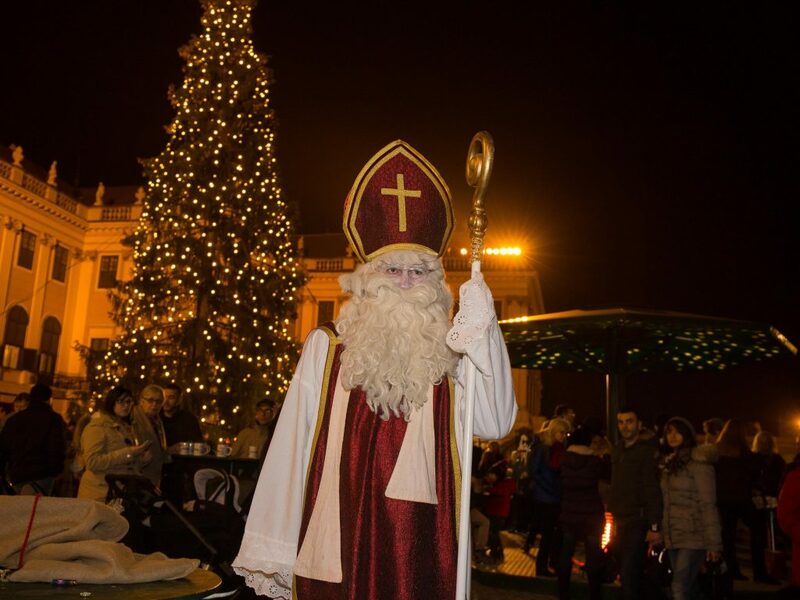 Instead of Santa Claus, they have St. Nicholas, but this St Nicholas does not look like our American Santa. He looks more like a religious figure, similarly looking to a Bishop. For those who wonder about other countries where these Christmas traditions, in addition to Austria, are celebrated, the list includes Germany (especially in Bavaria), Slovenia, Hungary, Czech Republic, Slovakia, Croatia and Northern Italy including South Tyrol. If you misbehaved this year, you better sleep with one eye open because you never know who he is going after, since in the Krampuslauf (Krampus runs) he goes after everyone who misbehaves, regardless of age! See more below. In Austria, they also have different annual Krampus Parades, also know as Perchtenlauf, that keep this centuries-old tradition alive! During the parade, you can appreciate different types of Krampus (in other words the Krampus masks and costumes). As you probably guessed, all of these masks are handmade and unique. In the parade, there is music, dancing, Christmas decorations and lots of culture and traditions. There are also vendors selling food, drinks, local wares, etc. 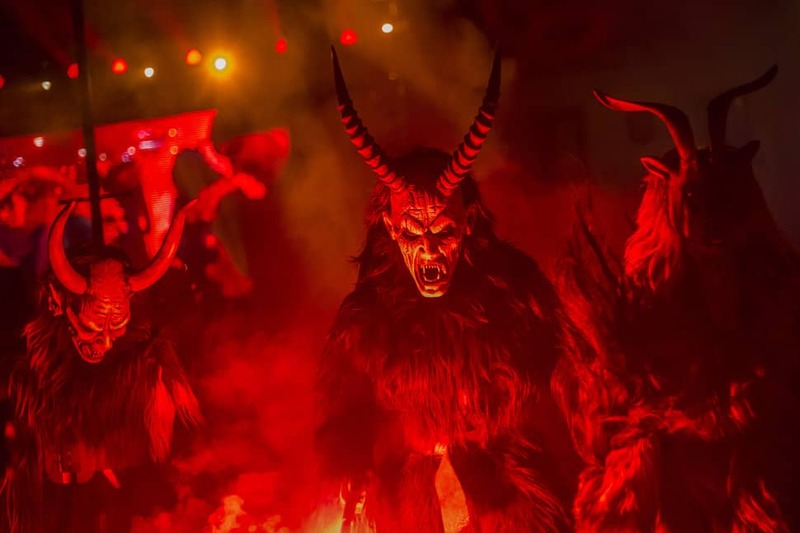 I was lucky enough to have the opportunity to attend one of the Krampus parades in Austria and it was such a unique experience for me as a New Yorker. It almost felt like Halloween during the Christmas holiday season, since (for me) that is what the whole Krampus legend reminds me of, a scary Halloween tale. Another fact which I found interesting is that the parade I attended, which is one of the largest ones in Upper Austria, took place at a church. I guess that when I think of going to church, I think of something more spiritual, a singing choir, biblical stories, not loud dark music with mythological beasts (christmas devils or evil santas) running around with chains and bells. It was definitely super captivating to watch but definitely not my usual Christmas in NYC or in Puerto Rico.I honestly did not know about Krampus until I moved to Austria. 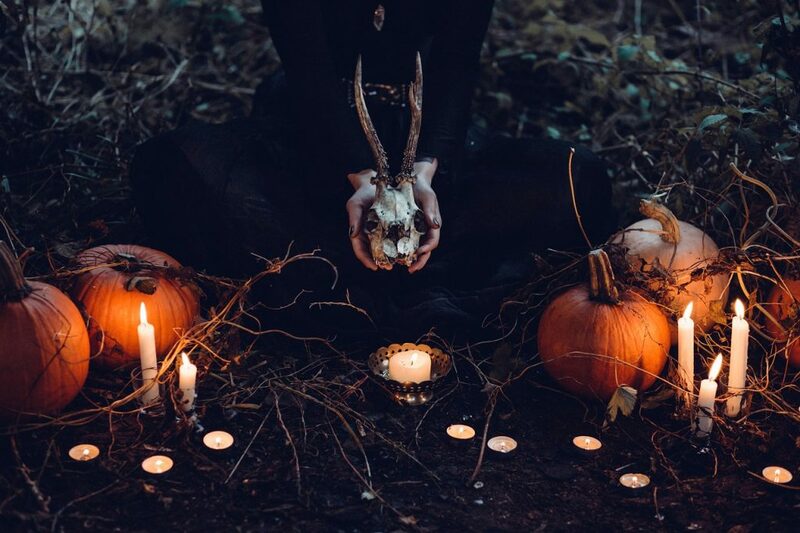 I also asked other friends in the United States and many did not have any idea what I was talking about, although I later found out that there are some festivals that have occurred in the US, such as the Krampusnacht in Orlando, Florida. Regardless, I decided to write this article to explain a little bit about the Christmas Tradition of Austria’s Krampus and about my own experience attending the Krampus parade. 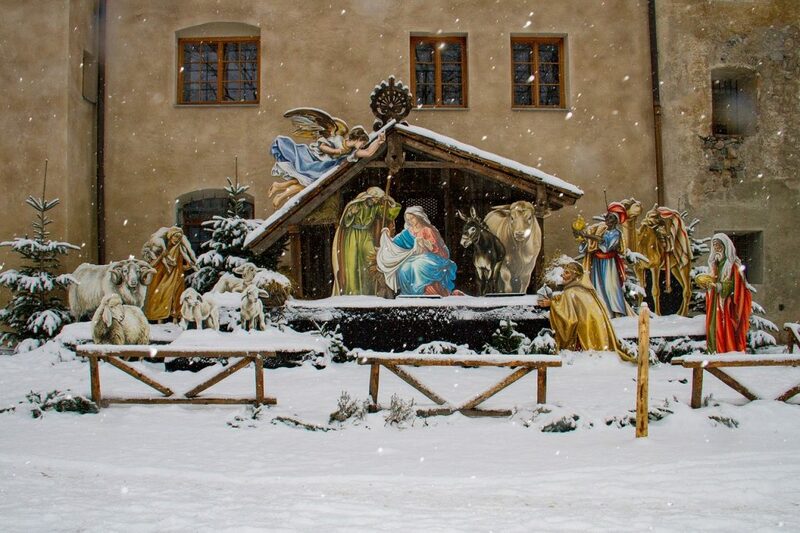 Most importantly, it is very interesting to experience how other cultures celebrate Christmas. Of course, Austrians do have the traditional Christmas Eve dinner with family (December 24th) where they exchange and open gifts. It’s still most definitely a great holiday celebration with lots of food and drinks, surrounded by loved ones. Krampus the movie – A Christmas Horror movie! Krampus became popular over the years and there are comic books and several movies about Krampus (I believe close to 10 to choose from). You can search for them online if you are really interested. I even found Krampus costumes for male and female on Amazon. Maybe this can be your 2019 Halloween costume? 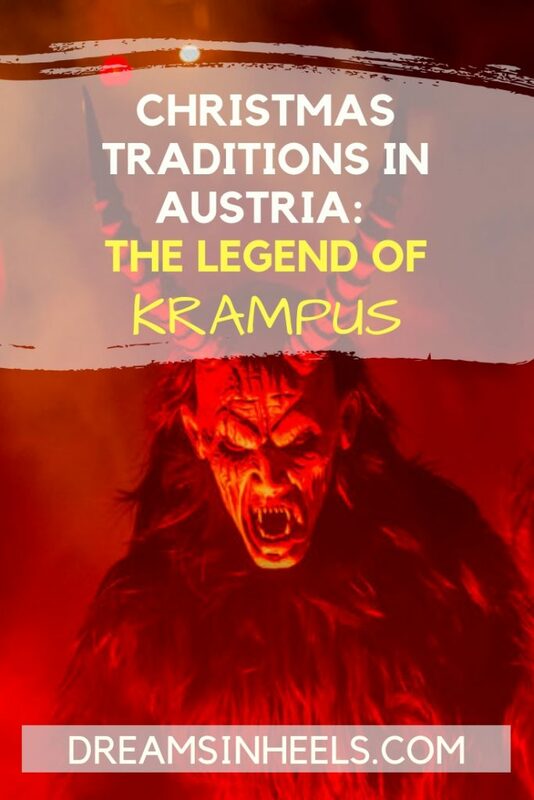 The legend of Krampus, the festival, parade and the rest of the celebrations involved in this beloved Christmas Horror Story will probably remain a tradition in Austria for years to come. As long as there are people in the world willing to misbehave and risk incurring Krampus’ wrath, he’ll stay around…probably forever. 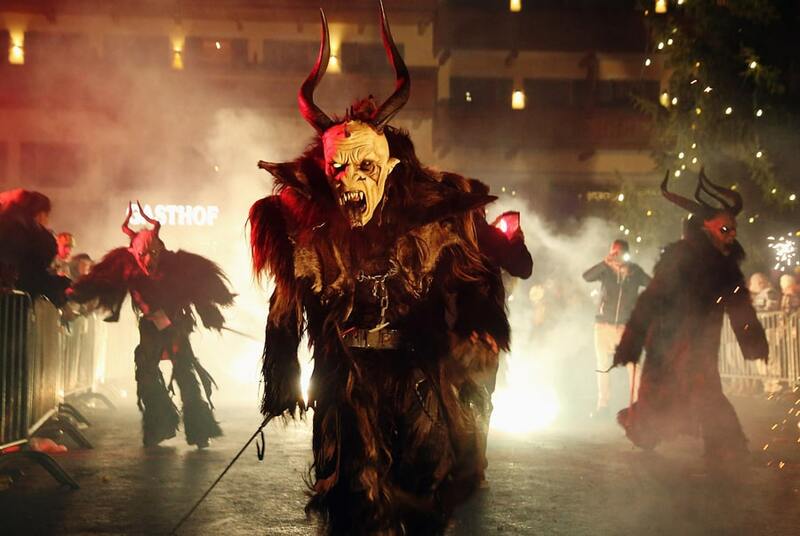 Have you ever attended a Krampus Parade or Festival? What was your experience? 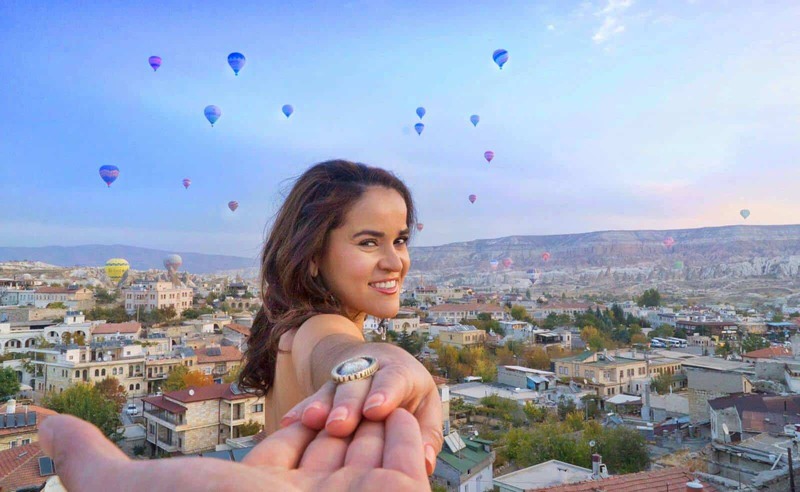 If you’ve never celebrated this tradition, would you? Why or why not? Let us know by commenting below. 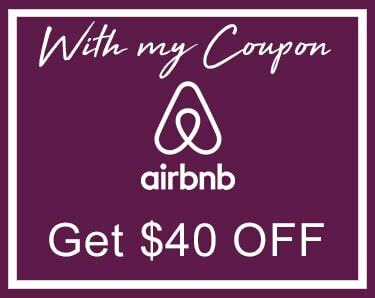 Traveling to Europe for the winter holidays? Pick up the Best of Europe Travel Guide by Rick Steves. What Makes a Road Trip in New Zealand the Perfect Holiday – Self Drive Itinerary!